iBaby Labs is a Silicon Valley-based company that creates smartphone-app-enabled baby monitors. A lot of them. There are 7 listed on the company’s website, which gets confusing, fast. So, we decided to try all of them to understand what, exactly, the differences were, and review them to find out if they were any good. In this article, we’ll compare and review the iBaby M6S, iBaby M7, and iBaby Air. While we didn’t directly review the iBaby M6T and M2S Plus, much of what you’ll see about the other video monitors and overall experience applies. We’ve also included comparisons about what’s different with each of those monitors compared to the others. Attempting to try out all of the iBaby monitors was more difficult than I imagined. When I tried to buy the iBaby M2S Plus, the iBaby website kept sending me to the M6S instead, so for a long time, I assumed this meant the M2S was no longer sold. The difficulty continued, as I’ll detail in later sections, with the setup process and figuring out how the various features of the monitors worked – both of these processes were far from intuitive. iBaby monitors get a lot of buzz and, if you look at the company’s website, seem to win a lot of awards. The company positions itself as creating “the most advanced wifi baby monitors”. After reviewing the Nanit, we here at Fathercraft would have to disagree with this. Instead, I’d put iBaby monitors in the category of solid, if unintuitive, wifi baby monitors with some interesting differentiating features – air quality monitoring being one of them. 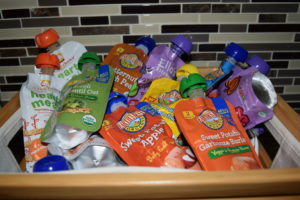 Note: we are a participant in the Amazon Services LLC Associates Program, an affiliate advertising program designed to provide a means for us to earn fees by linking to Amazon.com and affiliated sites. You can learn more about our policies regarding affiliate links here. Solid, but not intuitive – if you can get them set up. 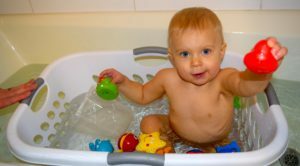 Unintuitive was the first word that jumped to mind when thinking about my overall experience with iBaby (it was also the first thing my wife said when I asked her about her experience). My experience started with the company’s website, which was confusing enough that it caused me to spend a large amount of time trying to figure out the differences between the various monitors. Though unintuitive, once I finally got the monitors set up and understood the features, they were solid (though I’ve so far been unable to get the iBaby Air set up). The wifi connection was strong, picture quality was very good, and a few features were unexpectedly useful. More on the iBaby Air later, but I’ve now attempted to get 2 units set up, both on my own and troubleshooting with iBaby customer support, and haven’t been able to actually set them up. Setting up the monitors was problematic. It started with plugging in the iBaby Air – a small plastic tab covered the power port. On the plastic tab was a sticker with a warning that said, “CAUTION: Do NOT separate the plastic cover from the device or the T&H sensor will be damaged”, which made me agonize for a full two minutes about whether or not I should pull the tab to uncover the power port. Problems continued from there. The small “quick start” guide booklet that accompanied the monitor contradicted the instructions given by the iBaby Care iPhone App, confusing me as to which order to do things in. At various steps within the app that required typing, the keyboard covered the “next step” button. When I finally reached the final step of the iBaby Air installation process – connecting to wifi, I waited for a progress bar … and got a message that the connection had failed, and I should retry. After the fourth time the connection failed, I looked for a troubleshooting guide, but there was none, only a video that just described the install process overall again. Things weren’t off to a particularly good start, so I contacted customer service by email. After some back and forth, they proclaimed the Air unit I had must be bad, and I should return it using one of two fairly inconvenient return processes. While mulling over which of these I should use, I decided to try setting up the M7, as I had that too. The iBaby M7 setup process was similarly unclear and poorly structured. After a power cord that snapped into place with a surprisingly satisfying click, M7 turned on … and started to rotate its camera all over the place. This would have been fine – maybe even endearing – except for the fact I’d previously been told to plug a USB cable into the underside of the monitor, which prevented me from putting it on the base, and left me awkwardly holding the unit while it rolled around for a minute, worrying I’d hold it the wrong way and hurt the motor. After all this, it was time to make another attempt to connect an iBaby monitor to wifi. In the app, a progress bar moved surprisingly quickly and got my hopes up. And then it stopped, millimeters from completion. I waited a minute, got bored, then walked away for 5 minutes. When I came back, the progress bar was still stubbornly sitting motionless, and an alert had popped up that said something like, “If progress has stopped, try again.” So I did, 3 more times. After numerous attempts, and keeping in mind my experience with the Air, I started to think it wasn’t the units, but rather some complication with my wifi. This time (the M7 is considerably more expensive, so I suspect they want to take better care of customers), a prompt to call customer support popped up. I did (during business hours) and was fairly immediately directly connected by a real, live person who delivered a pleasant customer service experience. After some diagnosis, he asked me if I had any other wifi networks (I did – Lucy – the less reliable of Lucy and Lucy2), and instructed me to try Lucy. After switching my phone to this slower network, M7 connected beautifully and hasn’t had any issues since. I thought this process would work for the iBaby Air, but it didn’t connect with the slower wifi network either, and I moved forward with the exchange process. Which, like my other iBaby experiences, was unintuitive, somewhat frustrating, and involved me needing to send them my credit card number via email on an unsecured Word Doc “just in case” I didn’t return the old, non-working monitor. I’ve detailed more about the iBaby Air setup process at the bottom of this article – click here to skip to it. iBaby baby monitors, like a number of other new baby monitors, forgo a dedicated “parent unit” in favor of using your smartphone or tablet as the parent unit for viewing and listening to what’s going on in your child’s room. When testing the iBaby Care app, I used my iPhone 6 and my wife’s iPhone 7. One of the great things about using your smartphone or tablet as the parent unit for your baby monitor is that the screen quality is great, especially when compared to most monitors with dedicated parent units, which are unlikely to have the “retina” quality display your smartphone does. Picture quality on the M6S and M7 is advertised as 1080p HD, and the limiting factor is the camera on the child unit. In practice, I found picture quality quite good, even in the dark with the camera’s night vision – though not advertised as being so, in my testing I found picture quality on the M7 to be better than M6S – side by side screenshots detail this later on. An odd quirk was that the picture quality was worse when the phone was in portrait mode, and only by rotating it to landscape was I able to see a really high-quality image. Zoom on the M6S and M7 is a “digital zoom”, so picture quality degrades quickly as you zoom in. To pan an tilt the camera for M6S and M7, you simply swipe your finger across the image from the monitor. This was relatively easy, but I found even small swipes resulted in huge jumps of the camera with the M7, making fine-grained movement a bit more difficult. The opposite is true with the M6 – it takes a number of swipes to move around. The iBaby Care app packs a lot of controls into the main view within the application. Here they are, shown for the M7 on my iPhone 6. We’ll quickly walk through what each one does and how well it worked. Controls in the iBaby Care App, detailed below. Access additional functions within the app – access settings, manage alerts, add users, etc. There’s a lot to say about this, we’ll say it in the section below. Switch between monitors in your account. iBaby allows you to have multiple monitors within your iBaby Care app to, for example, have one monitor in each kid’s room. Access pictures and videos you’ve taken, export them. Do note you’ll have limited storage capability, so if you get a good one, it’s best to export it relatively soon. Monitor connectivity status – ensure you have a good connection to your monitor from your smartphone parent unit. Air quality indicator. This feature indicates air quality level as measured by the monitor. The “moderate” level of yellow was rendered in an unreadable yellow on my phone. Play music or white noise for your child through your monitor’s speaker. With this feature, you can choose from what seems like hundreds of tracks of music, stories, nature sounds, various white noise options, or even record yourself singing or reading and play that back. I found the sheer number of tracks overwhelming, and some issues with the white noise and nature sounds tracks, namely that the nature sounds tracks are short and don’t loop well, creating a break in the sound, and the max amount of time you can set white noise for is 30 minutes. 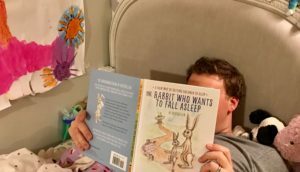 This was disappointing since, as I wrote about in our Snoo bassinette review, finding a stable way to play white noise all night can be a real pain point. Record a video of your child. If your kid is doing cute stuff while sleeping (or not) you can use this feature to take a video. Talk to your child through the monitor. You can attempt to calm your child through the monitor by speaking to him. Be warned, volume on this was pretty loud – talk quietly at first until you hear for yourself. Listen to your child through the monitor. Again, note this is “off” by default and needs to be turned on to hear your child and to use background audio. Take a picture of your child. Again, capture adorable moments with photos of your kid through the monitor. Use the “moonlight soother” (M7 only.) This projects a rotating image of stars and a moon on the walls and ceiling to calm your child. The settings section of the iBaby Care app was definitely the worst part. My first frustration came when I tried to add my wife as a user. When you add a user (and you can add as many as you like – for spouses, grandparents, etc), iBaby allows you to control their access to NINE different functions. This in and of itself was a bit much, but the real problem came when I was trying to give Jamee access to everything (nothing is checked by default). I spent a full five minutes trying to figure out why tapping on the little checkboxes next to a feature wasn’t doing anything before finally realizing that you don’t tap on the checkbox, you tap on the words next to the checkbox – another great example of just how unintuitive the whole iBaby experience is. Alerts were similarly complex – there are ten different alert settings – but the sensitivity level was the most baffling. 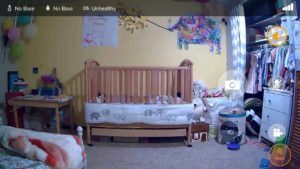 Even at the lowest level of sensitivity for motion alerts, I received dozens of alerts from the M7 that there was motion in Ruby’s room while no one was in the house. At first, this had me worried there was an intruder. Then, upon confirming these were false alarms, it got annoying real fast and I had to shut off all alerts. iBaby notes in their documentation that if you experience this you should just reorient the monitor so it’s facing away from a window as changes in light can trigger alerts. Which, to me, wasn’t a satisfactory answer. 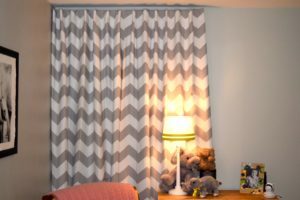 One key feature any baby monitor smartphone app needs to provide is the ability to alert you – either with an alert or, ideally, through background audio, that your child is making noise. The iBaby care app does background audio well, though again, it took a bit to figure out. iBaby’s alerts (sounds and banners on your smartphone’s lock screen) were oversensitive and troublesome, as detailed below. By default, the M7 has no sound when you’re viewing the feed from the monitor. 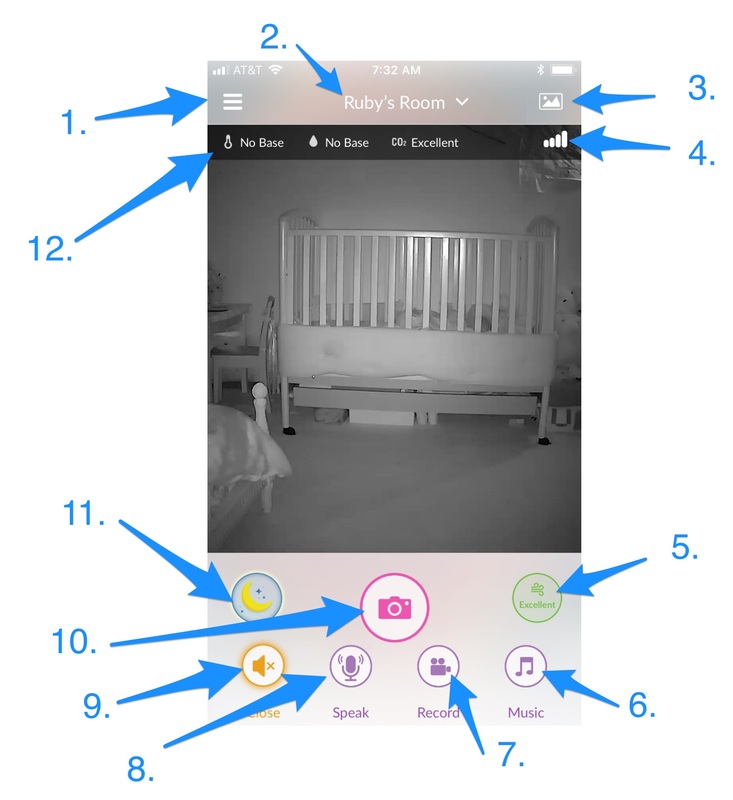 You have to tap a “listen” button, and then you’ll hear what’s going on in your baby’s room. Once you do this, if you close the iBaby care app, you’ll continue to hear sounds from the monitor. Due to issues trying to set up the iBaby Air and the M7, I ended up getting on two phone calls with customer support and exchanging a number of emails with them. In all cases, I found support to be friendly, helpful, and quite responsive. The only issue I had with support was hearing a different answer from email support than I did from phone support. The M7 is iBaby’s flagship monitor. At around $250 on Amazon , it’s certainly on the more expensive end of the spectrum, though you can spend much more on other brands. The first thing that jumps out about the M7 is it’s size and look. It’s big – 7 inches by 5 inches by 5 inches, and as my wife said, “kind of looks like that robot from Star Wars” (BB8). When I plugged in the M7 for the first time, it made some fairly loud beeping noises and the top half, which swivels, started gyrating around, further adding to the robot vibe. As I mentioned earlier, this would have been a lot cooler had it not been doing this while I was forced to hold on and try to make sure it didn’t bonk its camera into something. As I detailed above, I had some issues setting up the M7 and had to call customer support, who, after some troubleshooting, determined I needed to switch to my slower wifi network to set it up. After the setup process, things with the M7 went a lot smoother, and I found a number of the M7’s features quite likable, though many were also frustrating or just not that useful. Let’s dive into features. The M7 looks nearly identical to the cheaper ($115 cheaper) M6S. The only visual difference is the presence of a small clear circle near the top of the monitor, which is used to project stars and a moon onto the ceiling (see Moonlight Soother below). The other differences are in software or invisible hardware elements – one of which turned out to be improved night vision – see below. Diaper change and feeding alerts. Since iBaby is so focused on air quality, I assumed that the diaper change alert would be based on the monitor detecting an odor and alerting you that a diaper change might be necessary. This does exist (see air quality monitoring and alerts below, but the M7’s diaper change alerts are just a setting where you can decide the time interval you want the app to alert you to change a diaper – for example, you can set the app to alert you every 3 hours starting at 8 PM to change a diaper. 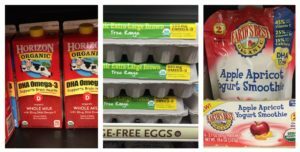 Feeding alerts work the same way and can be set separately. As the parent of two kids, I just can’t imagine the use case here as most kids have built-in biological alerts for feeding, and modern diapers should be able to stay dry for a whole night, unless your baby poops, in which case you can smell it or use the odor alerts. Moonlight Soother. The Moonlight Soother projects a moving image of a moon and stars onto the wall or ceiling near the monitor to, as you might guess, soothe your baby. When we tested the M7, my daughter Ruby was already 15 months old, so I didn’t actually try this out with her. But, when I played around with it myself, I found it to be 1) rather jerky movement – the top half of the monitor moves around to produce the movement, and this wasn’t exactly smooth. And 2) because the whole monitor is moving, the image you’ll see through the parent unit is also moving, causing a rather dizzying and non-functional picture of your baby’s room and rendering it more difficult to know if the soother is actually soothing or not. Childhood educational content. While this was listed as a feature on the iBaby website, I looked for the educational content within the M7’s iBaby Care app and couldn’t find it anywhere. There was no mention of it in the welcome email I got from iBaby either, so I’d call this fairly non-existent. 30 degrees more camera tilt compared to the M6. The M7 advertises 140 degrees of camera tilt compared to the M6S. When I literally put the two monitors next to each other and tested this, I found it difficult to tell the difference, though it seemed like the M6S could rotate further toward the ceiling, and the M7 further toward the floor. TVOC air quality monitoring in addition to VOC monitoring. What’s TVOC monitoring, you ask? It stands for Total Volatile Organic Compounds and is a scientific measure of how much organic “stuff” is in the air. After reading this article from the U.S. Department of Energy National Lab, I still couldn’t tell you what the difference would be when applied to baby monitors, and I couldn’t find any documentation from iBaby either. Based on what was present in the iBaby Care app for the M6S, it seems like this refers to the fact the M7 measures CO2 levels, whereas the M6S doesn’t. As noted above, air quality monitoring is one of iBaby’s big differentiating factors. The M7 delivers four different measures of the air in your baby’s room – temperature, humidity, C02, and an overall measure on a scale of “excellent” to “alert”. Of all the air quality measures and alerts on the M7, to me, the “odor alerts” had the most promise. The idea is that the M7 will recognize and alert you when your baby has pooped. This can be really useful when, during a nap, your baby is fussy and you’re trying to decide whether to let her work through it on her own, or whether she pooped and really needs attention – a very clear use case. In practice, I found the alert to worked 3 out of 5 times – 3 times when it read “odor” Ruby had actually pooped during a nap, the other two times it said “odor” were false positives. 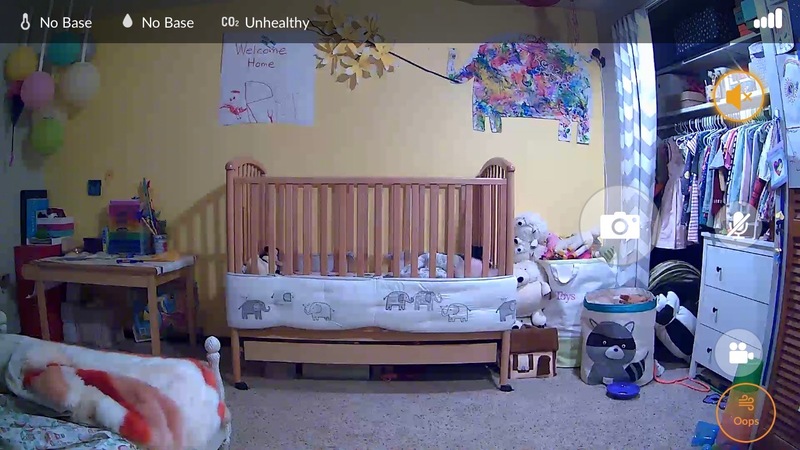 I’ll note we didn’t have the monitor super close to Ruby’s crib, and one odor alert was when both Ruby and our 4-year-old were in the room, so a gassy kid could have been to blame. The iBaby Care App, as noted above, has tons of room for improvement. But, a lot of this comes down to learning how to use it, so if you’re willing to put in the time to work through things, this isn’t an ongoing issue. Overall, I’d say the M7 was a solid monitor, especially for those looking for a wifi monitor that uses a smartphone as its parent unit. And, purely from a picture quality perspective, it’s one of the best monitors I’ve seen. However, considering the overall experience and downright disappointing nature of some of the features, it seems hard to justify the additional $115 or so this monitor goes for over the M6S. But, if picture quality is extremely important, and you’re set on an iBaby monitor, the M7 could be a good choice. Amazon has the M7 for what we found to be the best available price (about $249), fast, free shipping if you’re a Prime member, and the longest available return period if you change your mind. If you’re looking for a high-end monitor with great picture quality and price isn’t as much of a concern, we’d recommend checking out our review of the Nanit sleep system. The iBaby M6S is almost identical to the M7, just missing a few of its features, so I’ll ask you to refer to that review above for the basics of operating and using the M6S. As I’ve noted above in the M7 review, I didn’t find much value in any of these additional M7 features. While it isn’t noted on the iBaby site, there’s a noticeable difference in picture quality between the M6 and the M7 (M7’s is significantly better). This holds true for both daytime and night vision. Here’s a look at the picture from the M6 and the M7 from our testing (I had them sitting side by side on a bookshelf). Daytime images from the M7 (left) and M6S (right). Night vision images from the M7 (left) and M6S (right). Solid wifi connectivity. Like the M7, I found the wifi connection on the M6S to be excellent. Odor alerts (when they worked). As detailed in the M7 alerts, when they worked, I found the odor alerts delivered by iBaby to be quite useful in letting you know your baby pooped, which can decisions about whether to go change him. My list of things that weren’t great about the M6S is similar to that of the M7, with the addition of picture quality that wasn’t phenomenal. White noise. The 30-minute max time on white noise seems arbitrary and limits usefulness. The iBaby Care App. As detailed above, the iBaby Care App leaves much to be desired. Picture quality was good, not great, and not as good as the M7’s. Alerts are too sensitive, I eventually just had to turn them off. Size. Like the M7, the M6S is a bit bulky, and has a big footprint. The iBaby M6T is similar to the M6S, but missing a few things that make it a few dollars cheaper – the iBaby M6S is around $115 on Amazon , whereas the iBaby M6T is around $110 on Amazon . Reading reviews of those two units above will give you a good sense for the M6T. Picture quality: the M6S is listed as having 1080P resolution, whereas the M6T only has 720P. White noise: the M6S gives you the ability to play white noise through the monitor, but this is missing from the M6T. As I’ve noted in the M7 and M6S reviews, I found the white noise offered by these monitors to have some significant shortcomings. Includes optical zoom. The M2S is the only iBaby monitor that includes an optical zoom. Other iBaby monitors allow for digital zoom, but image quality degrades quickly with the digital zooms. Doesn’t pan or tilt. While the other iBaby video monitors pan and tilt, the iBaby M2S Plus remains fixed in place. No air quality monitoring. Unlike some of the other iBaby monitors, the iBaby M2S doesn’t include any air quality monitoring or alerts. The iBaby Air, with everything that’s in the box. 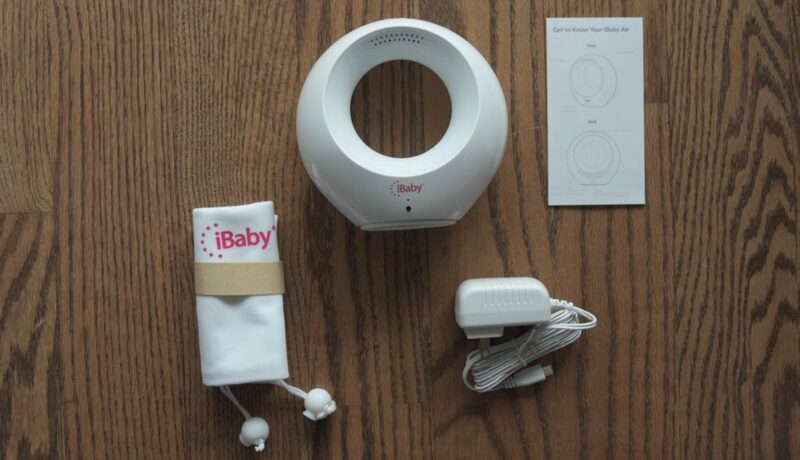 The iBaby Air is an audio-only monitor that doubles as an air quality monitor and purifier. In this day and age, it can feel strange to think about the prospect of an audio-only monitor … what, not see my baby?? Unfortunately, while I’ve had two iBaby Airs at my apartment, I still haven’t gotten to test one out – neither was able to connect to my wifi network, despite many attempts to connect by me, my wife, and me while assisted by iBaby customer support. I even tried using my wife’s phone and took one of the Airs to my office to see if it had something to do with my home wifi network. iBaby support assured me this seemed to be a rare occurrence and have something to do with my wifi in particular, but given that I use Comcast with a standard Comcast Xfinity modem, I have my doubts. At the moment, I’m waiting for iBaby to test out the two units I have at their facility and I’ll update this review with the results of that testing. What I can say about the iBaby Air without testing it is based on physical observations, talks with iBaby customer support, and a long time on the iBaby website. The iBaby Air is listed at $129.95 on the iBaby website. When I talked to iBaby customer support, they asked why I was interested in the Air vs one of their video monitors. I told them the air purification feature of the Air was the selling point, and they said, “honestly, the air purifier is going to cover only a very small area. You might be better off getting a standalone air purifier from someone else and just using one of our video monitors.” Not exactly a ringing endorsement. In addition to air monitoring and purification, the iBaby Air serves as an audio baby monitor and has the ability to play white noise and soothing music. Though, I’d imagine the white noise and music suffers from the same limitations as I noted in my M7 review above. Based on all of this, I wouldn’t be surprised if this product gets discontinued in the future. 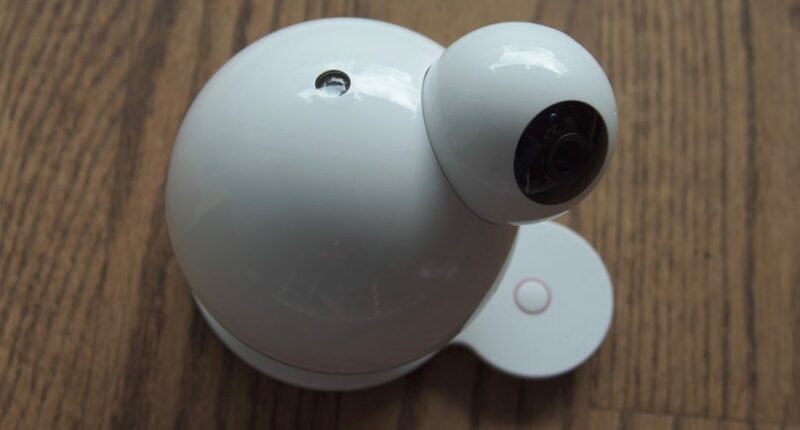 There are a lot of similarities between the iBaby M7 and the Arlo Baby. They’re both HD, 1080p cameras, controlled by a smartphone app (we’ve found both the iBaby app and the Arlo Baby app to be quite confusing). They both feature the ability to play white noise, have a nightlight, and feature air quality monitoring. In our experience, the Arlo Baby outperforms the M7 from an image quality perspective. It’s also cheaper – the Arlo retails for $199, while the M7 retails for $249. Both are available on Amazon – here’s the Arlo Baby, and here’s the M7. 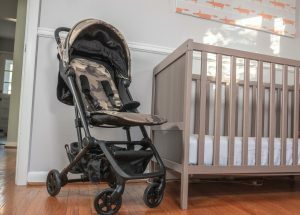 Editor’s Note: this post was originally published in April, 2018 but was updated in September 2018 with a video comparing the iBaby M6S with the iBaby M7.